San Francisco is a seriously photogenic city. Having been based around this area for a period of time whilst in the US, I took advantage of the photography opportunities it presented to test out my Vanguard VEO gear. Which, it turns out, is just at home in the city as it in in locations as stunning as Yosemite and the Grand Canyon. 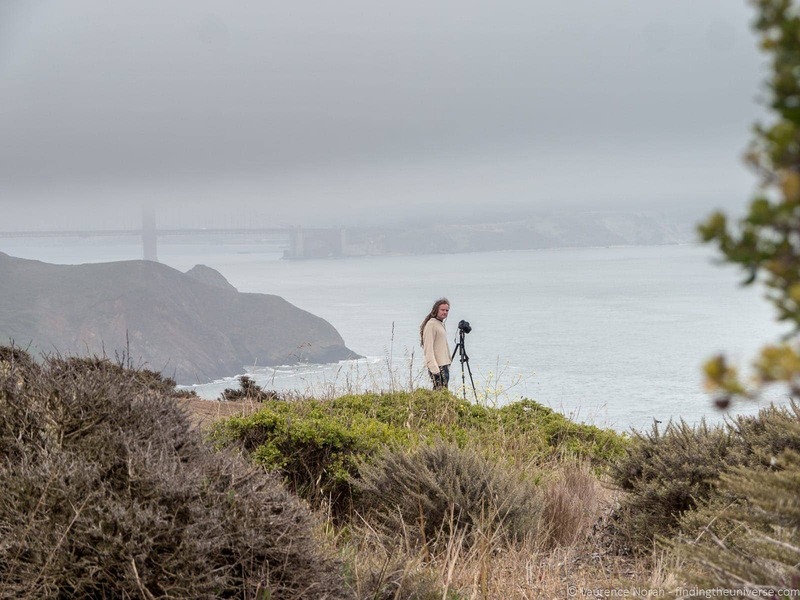 Today I want to share some of my favourite spots for photography in San Francisco, from my personal photography expeditions around the city. I’ll also share some resources at the end which will help you find more locations for your own adventure. 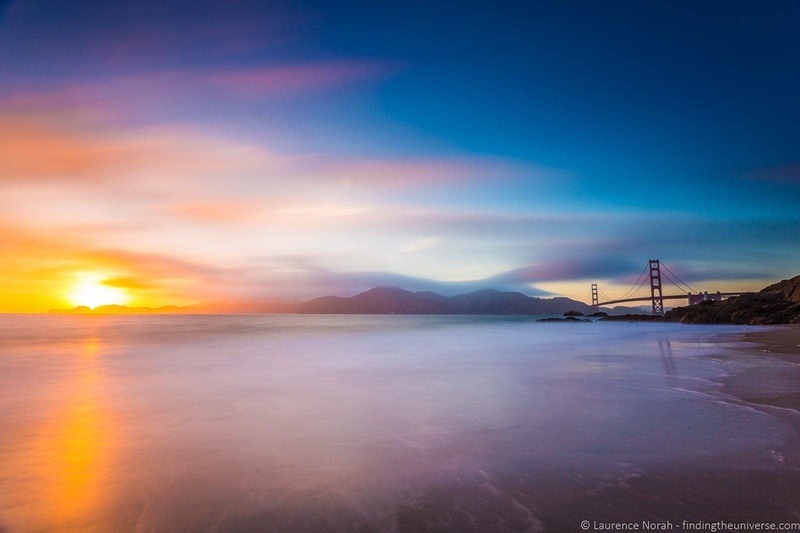 Just be aware – San Francisco has countless opportunities for photography, so you’re going to need a while! 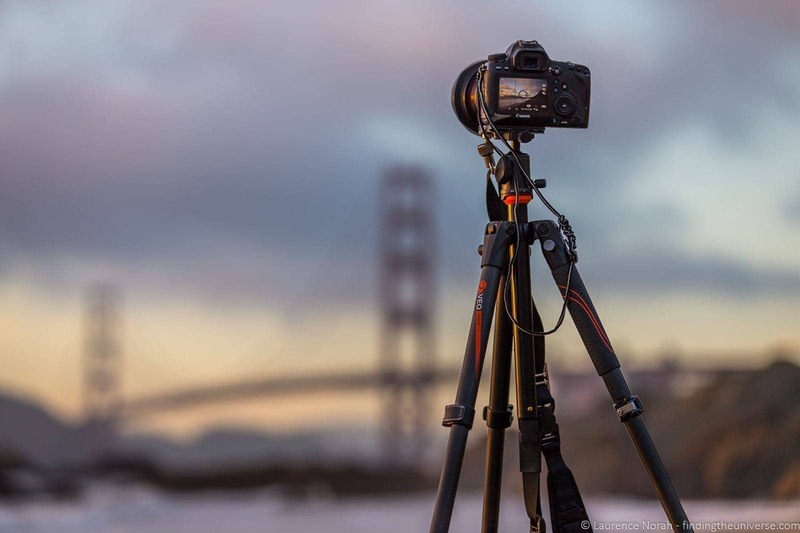 Let’s get started with some of my favourite places to shoot San Francisco’s iconic Golden Gate Bridge, and then move onto some other locations around the city. 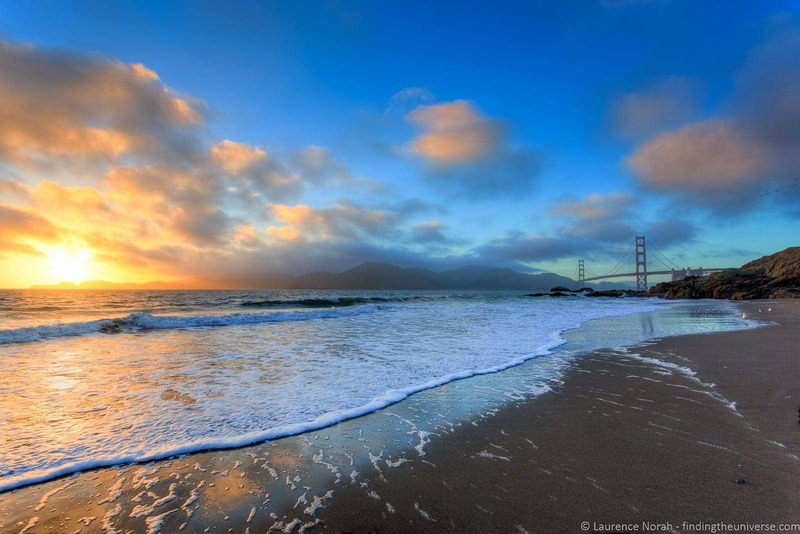 I’ll start off with my favourite location in San Francisco for shooting the bridge, Baker’s Beach. You’ll have to park above the beach and walk down to it, but the view as the sun set across the water is just stunning. You can also walk from here towards the beach for closer shots (although be aware of the tide!) if you want the bridge to seem larger. There are also some photogenic rocks the closer you get to the bridge for foreground composition. I was pretty happy with just hanging out on the beach and enjoying the sunset though. 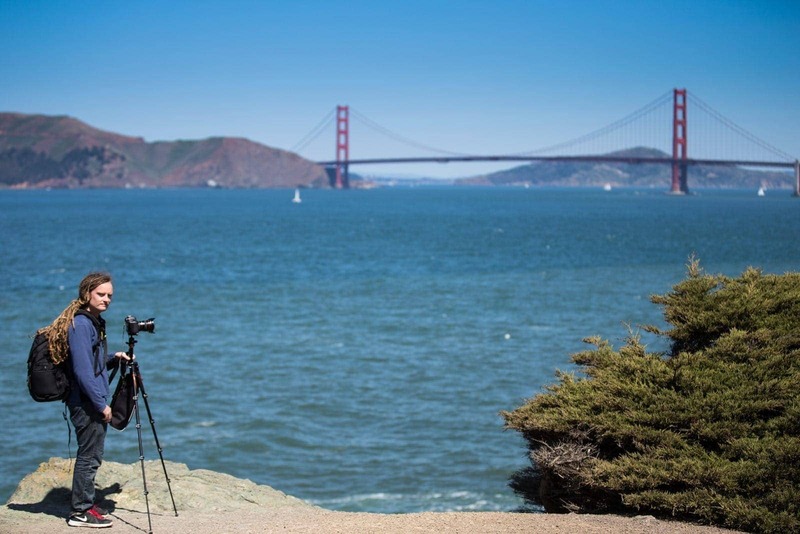 On the opposite side of the bay there are two easily accessible locations to shoot the bridge from – Battery Spencer and Vista Point. Battery Spencer is a little higher, and puts the city of San Francisco behind the bridge. Or it would, on a clear day. Which, as you can see from my photos, I didn’t exactly have. Still, the Fog is kind of a San Francisco thing, so it’s not really the end of the world if it’s a bit foggy. It adds to the atmosphere, you can tell yourself. 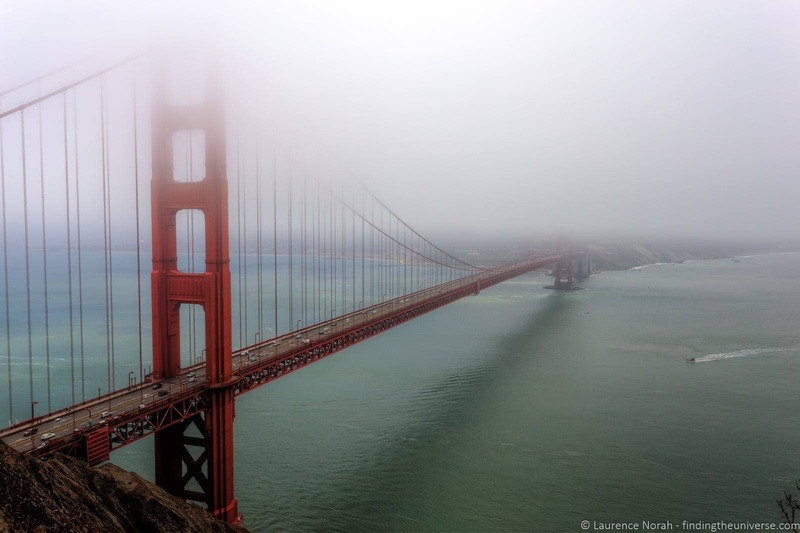 If you’re really lucky, then you will be able to get above the fog and shoot the bridge poking out of it from the Marin Headlands (see below). I wasn’t lucky. Across on the other side of the freeway (there’s a pedestrian tunnel to go underneath), is Vista Point. From here you can shoot the bridge with the skyline of San Francisco visible. It’s also a great location to shoot directly down the length of the bridge. Once you’ve visited Battery Spencer and realised the whole world is covered in a thick, impenetrable fog, don’t panic. Head further up the coastal road and if you’re lucky, you might be able to get above the fog and get some seriously epic photos. As previously mentioned, I wasn’t exactly lucky. 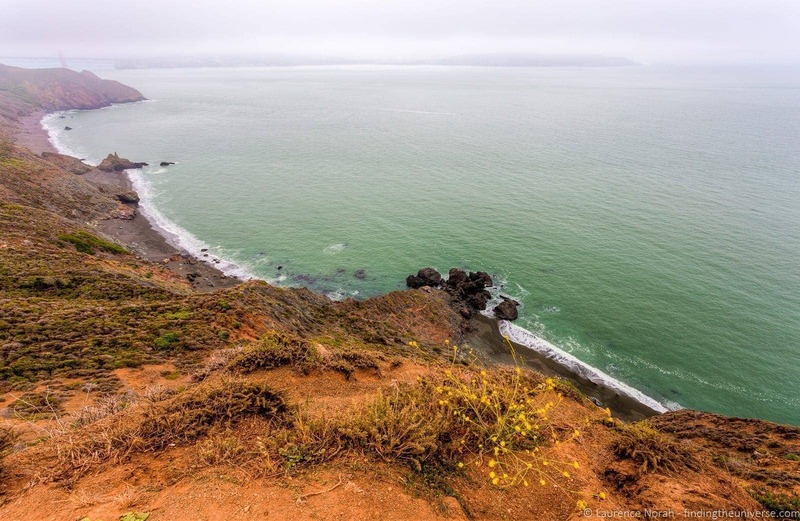 Still, I could definitely See The Potential, which is why this drive, all the way along the Marin Headlands to the Bonita Point Lighthouse, is included in my location options. There are also some wonderful abandoned old fortresses up here, so if you’re into that kind of grungy decay, you’ll do well up here. 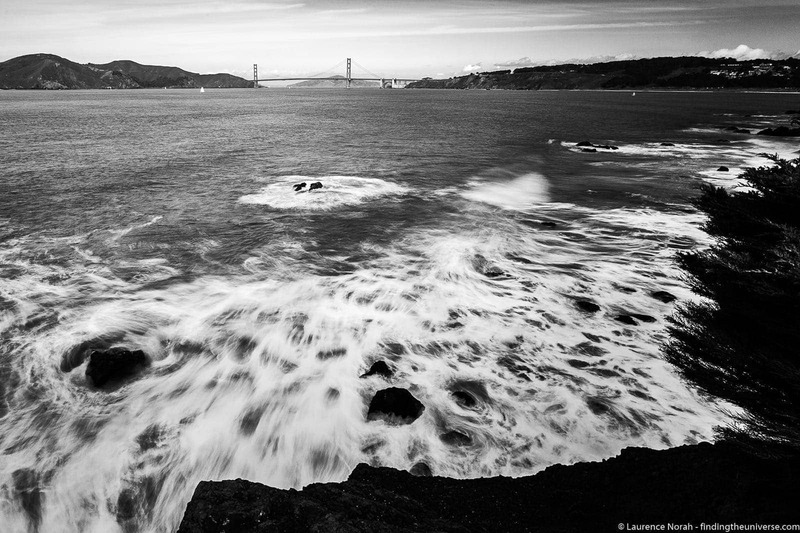 Side note – Land’s End is my favourite place in San Francisco for a spot of walking. You can walk from the car park here all along the headland, with excellent views of the Marin Headlands and the Golden Gate bridge. The beaches here are also excellent for longer exposure work, with plenty of rocks and rushing water to get excited about. 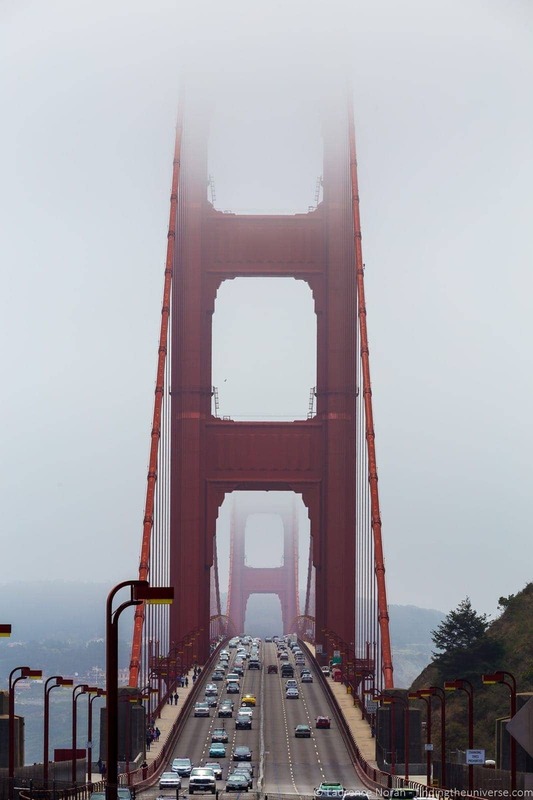 With a longer lens, you can can also get some great shots of the bridge from here. That’s probably enough of the Golden Gate Bridge. Check out my resources section at the end for some more excellent ideas on locations for shooting the bridge at different times of day. Now, let’s talk about some of the locations in the city for photography. 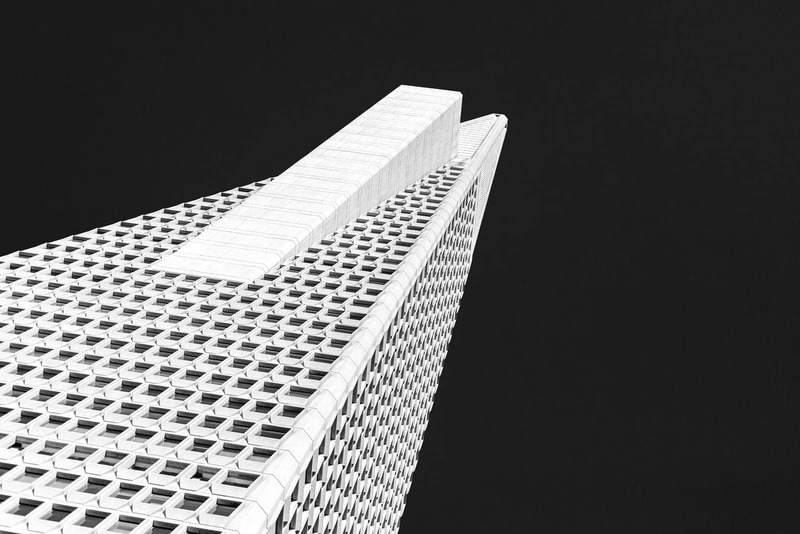 Like many US cities, San Francisco has some gorgeous skyscraper’s to admire, with my favourite being the Transamerica building – a bizarre pyramid shaped building that is a lot of fun to shoot. 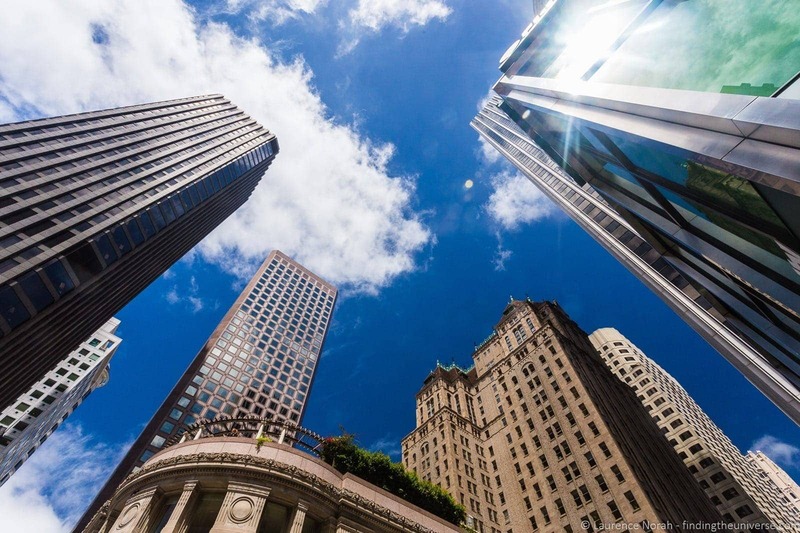 With the right cloud cover, an ultra-wide lens and a Neutral Density filter (check out my photography gear post for tips), you can have a lot of fun shooting the buildings in the financial district. If you’re into colorful street photography, head to China Town. 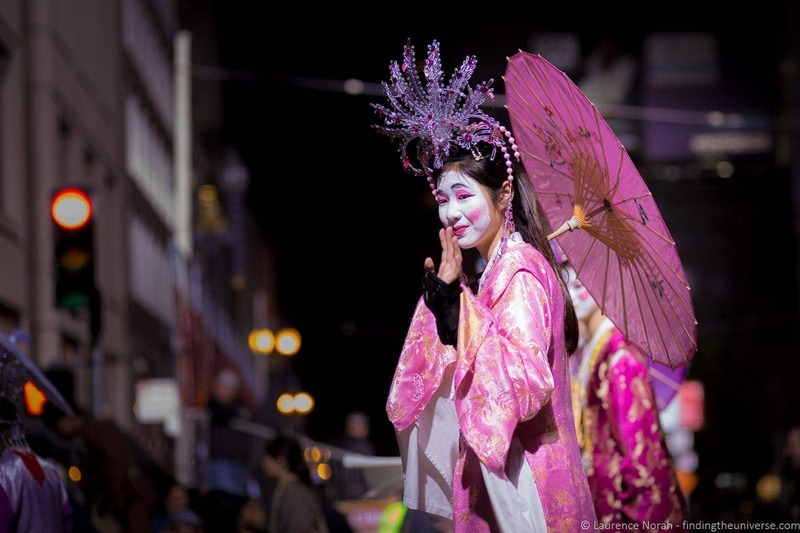 I was lucky, and caught the Chinese New Year’s Parade, which was spectacular, but you don’t need an event like that to get some great street shots of a different style to the rest of the city. Street photography is really more about being unobtrusive, so a tripod didn’t come in that handy, but since the VEO range is so light anyway, it wasn’t a problem to stuff it in my bag whilst I went handheld. 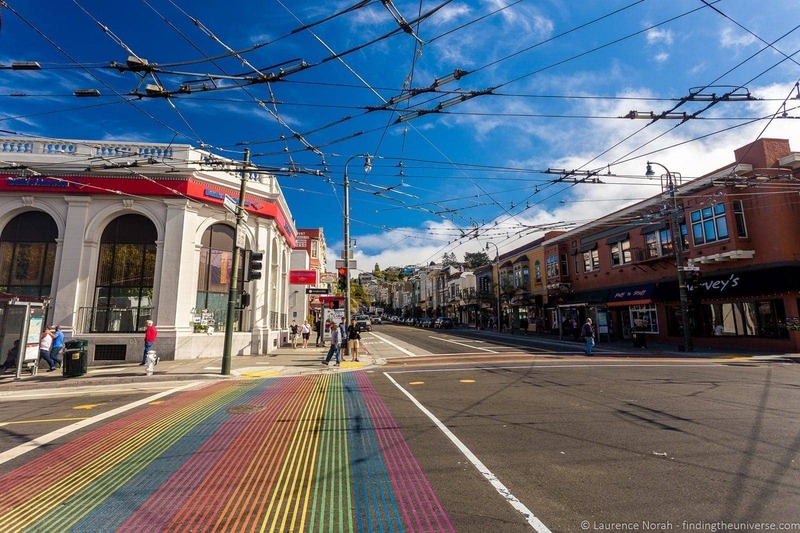 A little different to Chinatown, the Castro is the centre of gay San Francisco. The colours (and characters!) here are just fantastic, and I was particularly enamoured by the rainbow coloured crosswalks. There are also plenty of rainbow flags here of course. 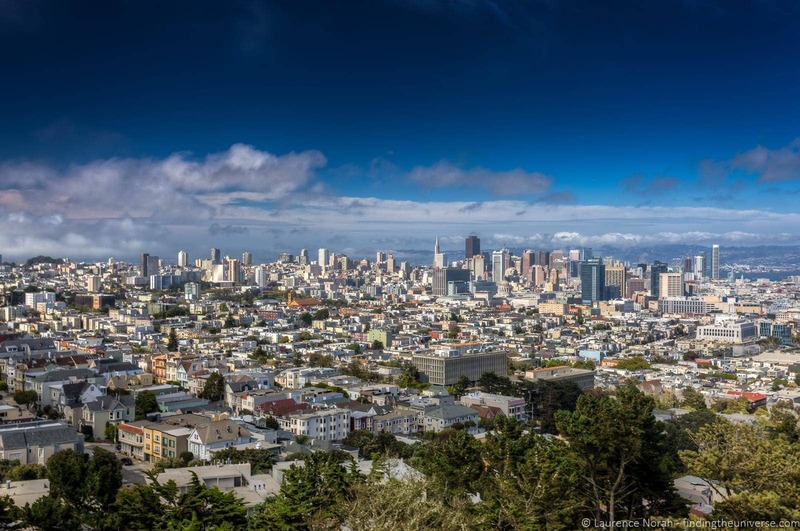 If it’s a fantastic view of the San Francisco skyline you’re after, head up Corona Heights, where you’ll get a fantastic view across the whole city. 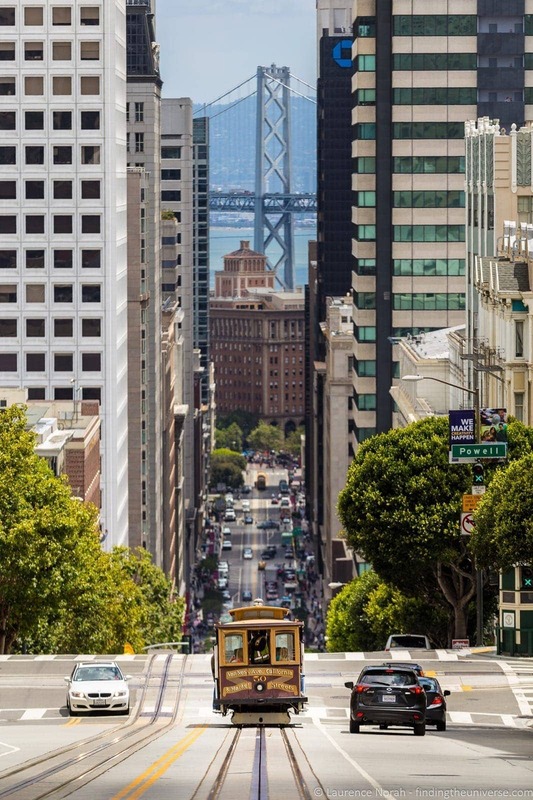 We came up here recently as part of a San Francisco walking tour, and the climb up was more than worth it! 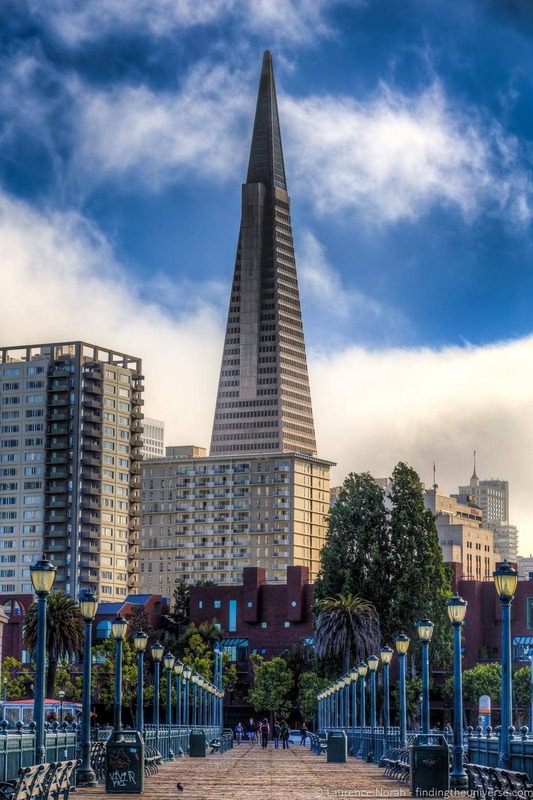 San Francisco is surrounded by water, and as a result has a rich and interesting maritime heritage. 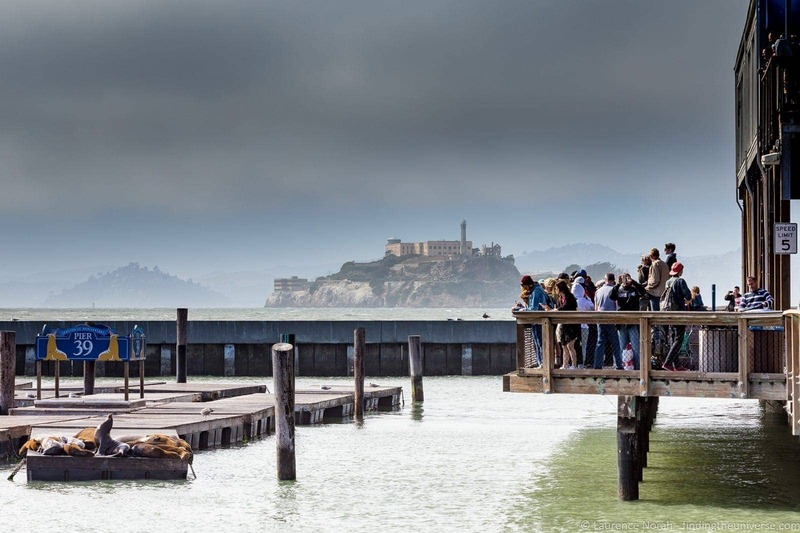 It also has a great many piers to explore – the most famous of which is Pier 39, also known as Fisherman’s Wharf. I’d recommend starting your Pier exploration at the Ferry Building, and walking from there all the way to Pier 39, with a stop off at Pier 7 on the way. You’ll see some delightful old-time street cars on the way, and also have the opportunity to stop off at Pier 7, which is my favourite. The street lights along the pier are beautifully symmetrical, plus there’s an excellent view of the Transamerica building. Of course, you can’t come to San Francisco without coming to Fisherman’s Wharf, the most amazing tourist trap in town. Which, as you would imagine, makes for some excellent photo opportunities. Oh, and the clam chowder isn’t half bad either. Get the stuff from Bourdin, served in a sourdough bun. It’s delicious. Where was I? Ah yes, photography. 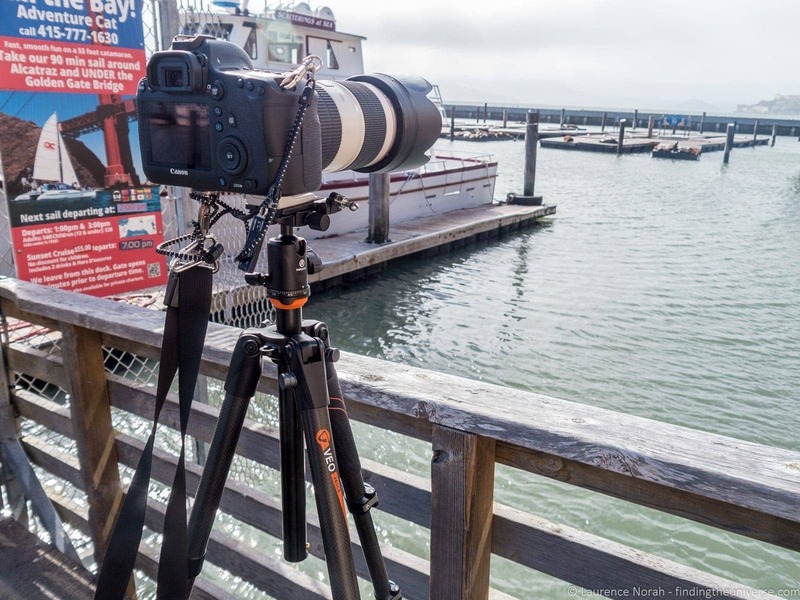 Pier 39 is good for photographing people, sea lions, and people taking pictures of sea lions. There are also all kinds of stores and street entertainers to keep you going. 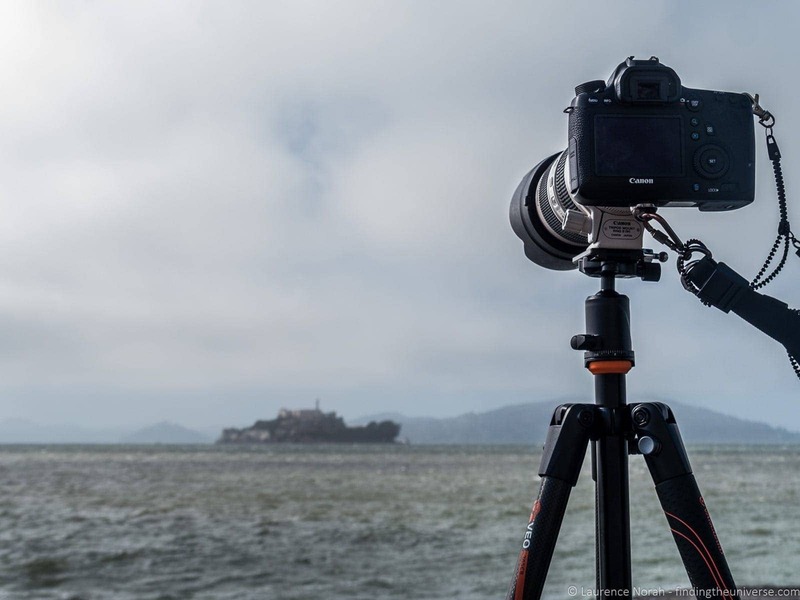 Pier 39 is also a good spot for getting photographs of Alcatraz, as there are some lovely views out into the bay, particularly with a long lens. Trams! You can’t leave San Francisco without an iconic photo of a tram, ideally ascending or descending one of those improbably steep hills. I have a couple of options for you. 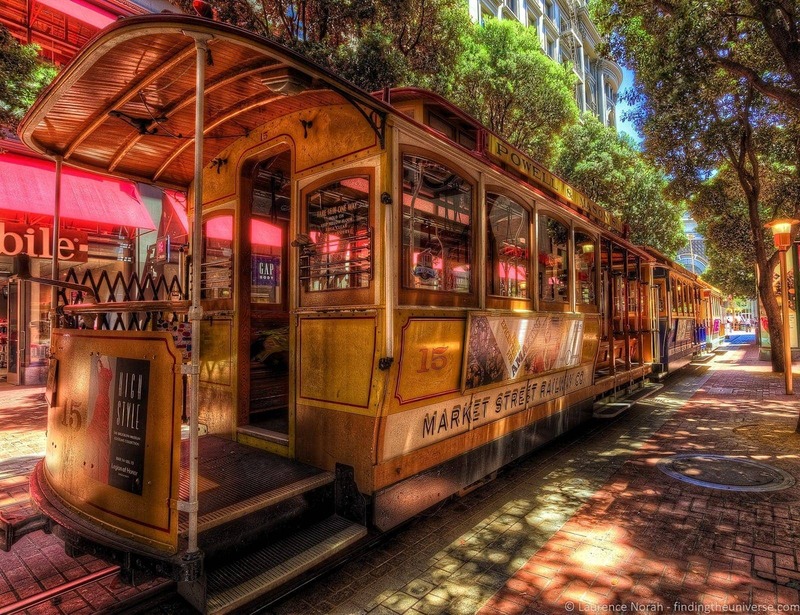 First – Powell Street, at the Market Street end of the cable car, where the cars are turned around. Personally I found this area a bit crowded for decent photos, but if you head up Powell a little, you can sometimes find a row of cable cars that are waiting for their turn. Which means you can get some people-less pictures, if that’s your thing. 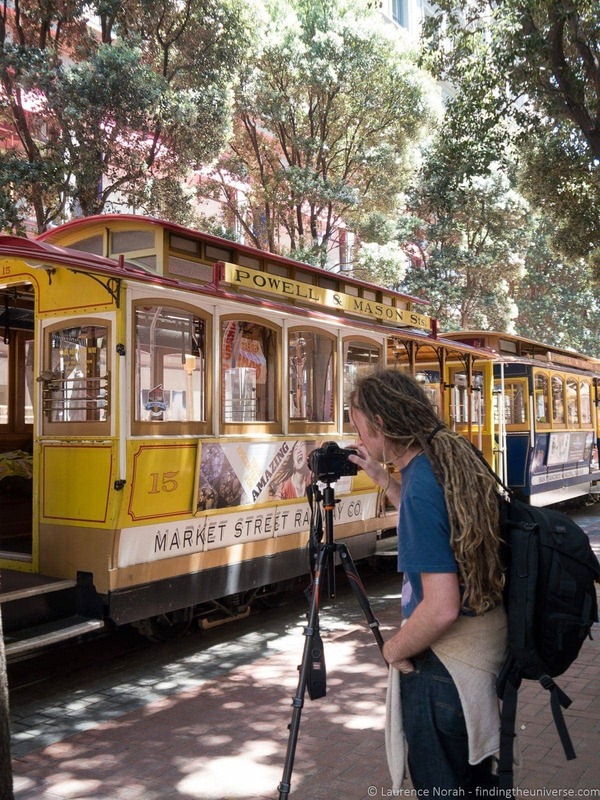 If you want some shots of the trams in action, then you’re going to have to walk. My advice is to head up Powell Street to the intersection with California. Here you’ll be able to get some good steep street shots. Pack a long lens for some nice lens compression effects. 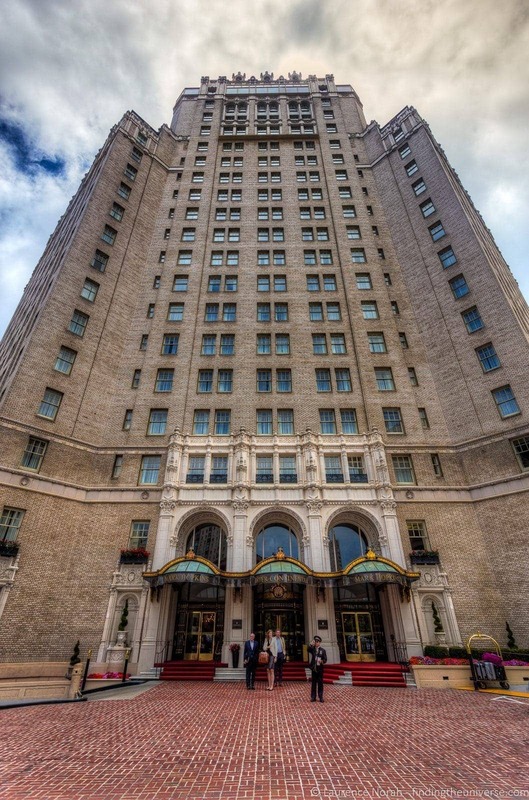 Whilst you’re in the area, you can also enjoy some of the architecture of the Nob Hill area, which has some fantastically grand hotels. 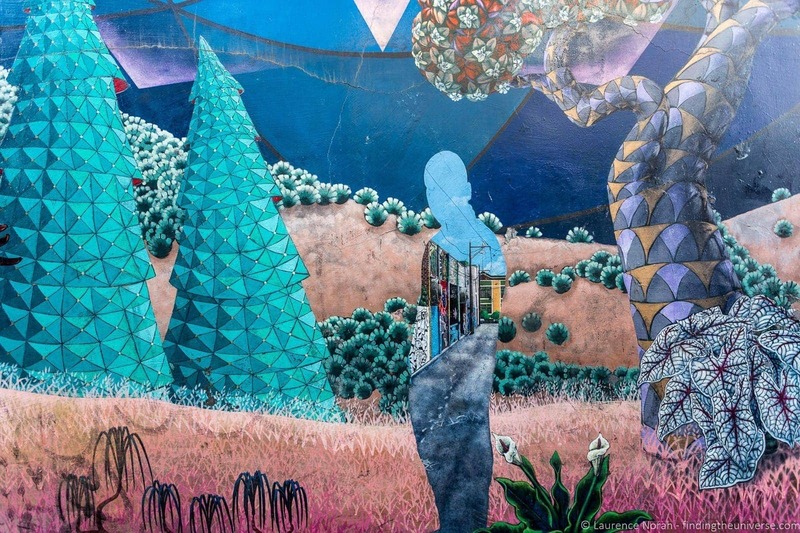 If you’re looking for street art, or just something a bit more gritty, then head to the Mission district. There’s a whole alley of street art to start you off, after which you can wander the Mission District. This area used to be one of the more dangerous in the city, but has become a lot safer in recent years. There are plenty of options for accommodation in San Francisco. We’ve stayed at and are happy to recommend the Hotel Rex, which is well located in the city center and within walking distance of many of the locations in this photography guide. You can see more options for hotels in San Francisco here, there’s a wide choice across a range of budgets! I don’t feel that one post can cover the whole city, nor do I feel myself to be anywhere near an expert in all the photographic locations in San Francisco. I’ve not even mentioned the Bay Bridge, the Painted Ladies, Haight-Ashbury, the various musuems… the list goes on! 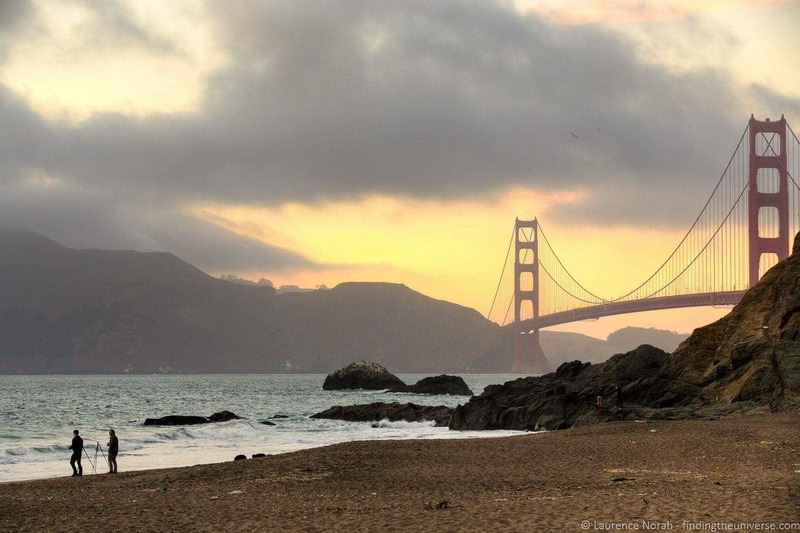 The top photos spots in San Francisco, according to Nomadic Pursuits. 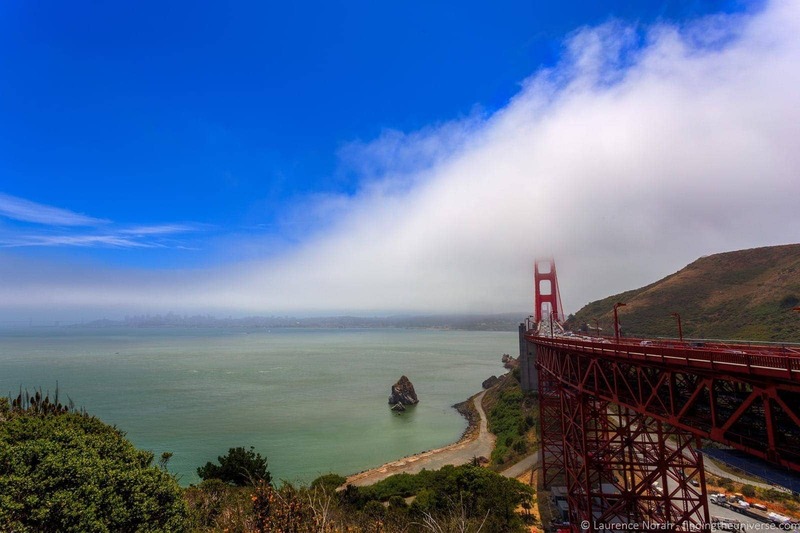 An excellent guide to the Best Places to Photography the Golden Gate Bridge, by my friend Brendan. 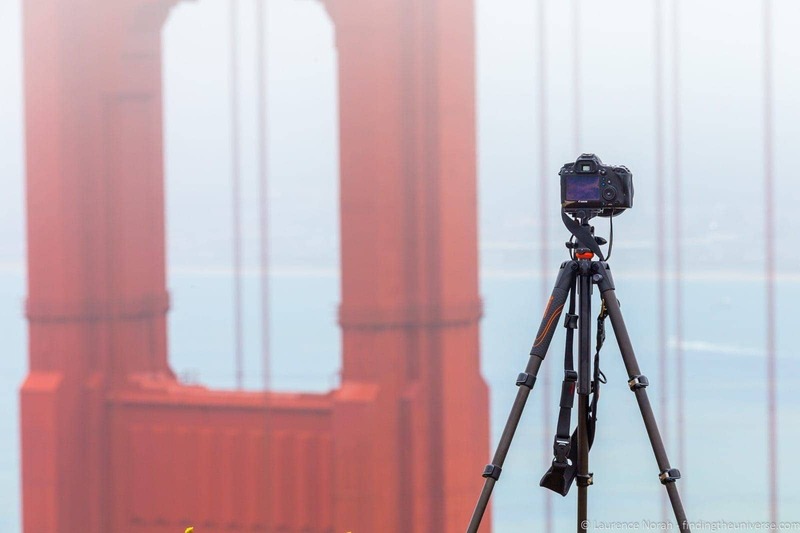 Thoughts on the best photo locations in San Francisco, from Shot Hotspot. Jess’s Guide to the Top 10 Things to Do In Golden Gate Park – another excellent photography location! 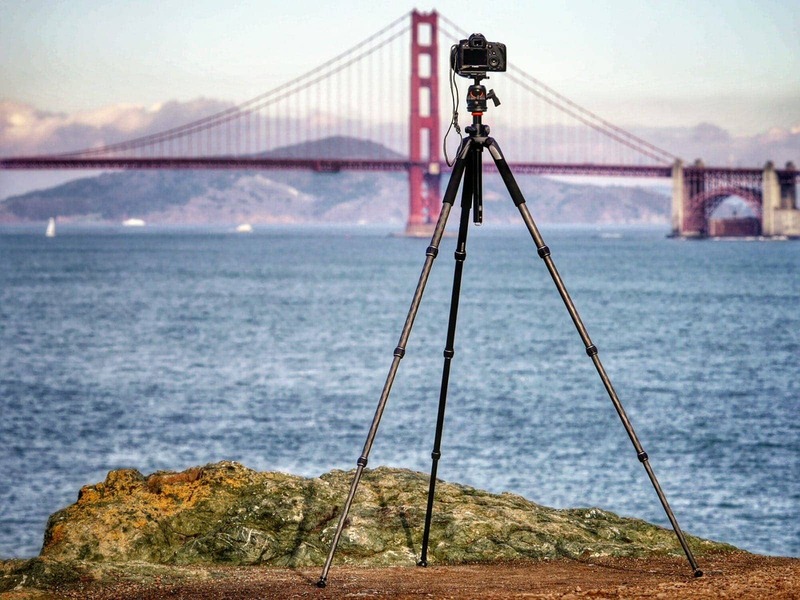 If you are looking for a tripod (and if you’re serious about your photography, you absolutely should have one! ), then Vanguard have an excellent range. The VEO system I was using for this shoot is specifically designed for travel, meaning it’s super-light and easy to use, plus they won’t break the bank. Finally, if you’re looking to learn more about photography, I run an online travel photography course which covers everything I know about photography, plus you get one on one feedback directly from me as you go! Check it out and let me know if you have any questions. 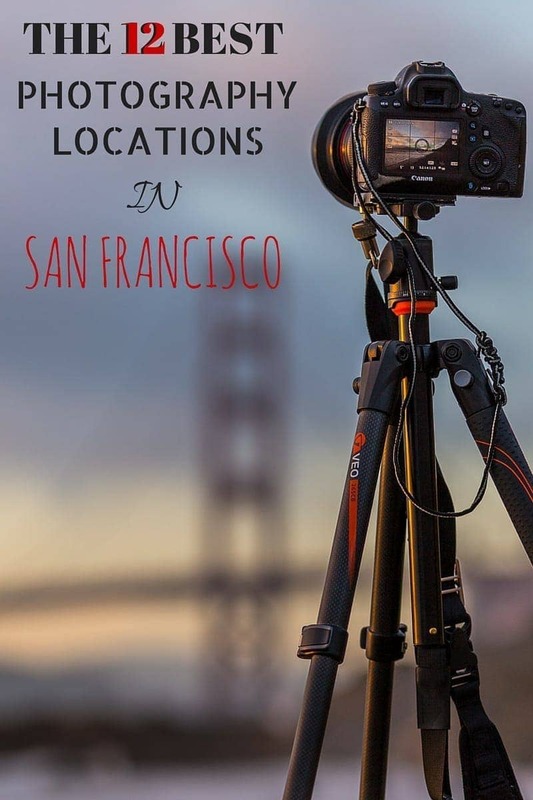 And that’s it for my guide to some of San Francisco’s best photography locations! 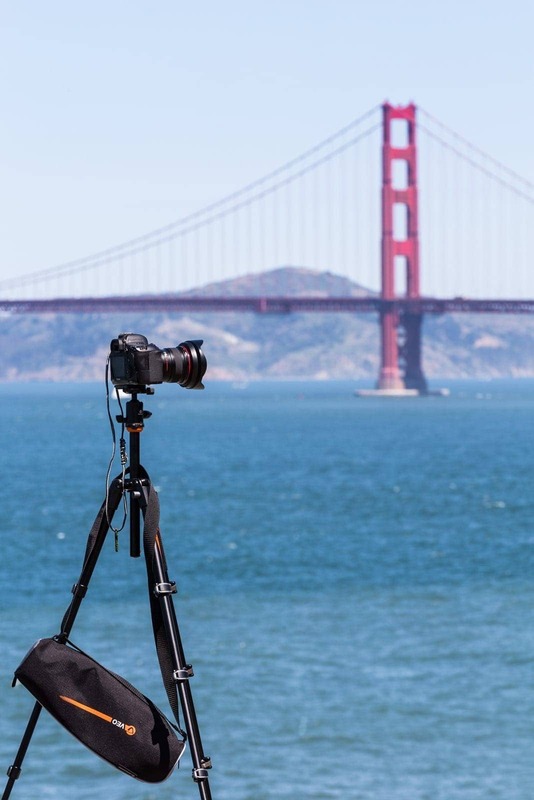 If you’ve visited San Francisco, do share your favourite photography locations in the comments below – particularly if you found a great spot for sunset or sunrise, and don’t forget to check out some of my other photography location guides for more travel photography inspiration! The beautiful cable car shot with the bridge in the background. Is that near the Fairmont? Could I get it with a 50mm lens, or will i need more pull? Great article!!! Thanks!!! This was taken at 200mm, so you would either need to crop, or take a longer lens 🙂 And yes, you have the location correct! Great guide and pictures, thanks a lot for sharing! 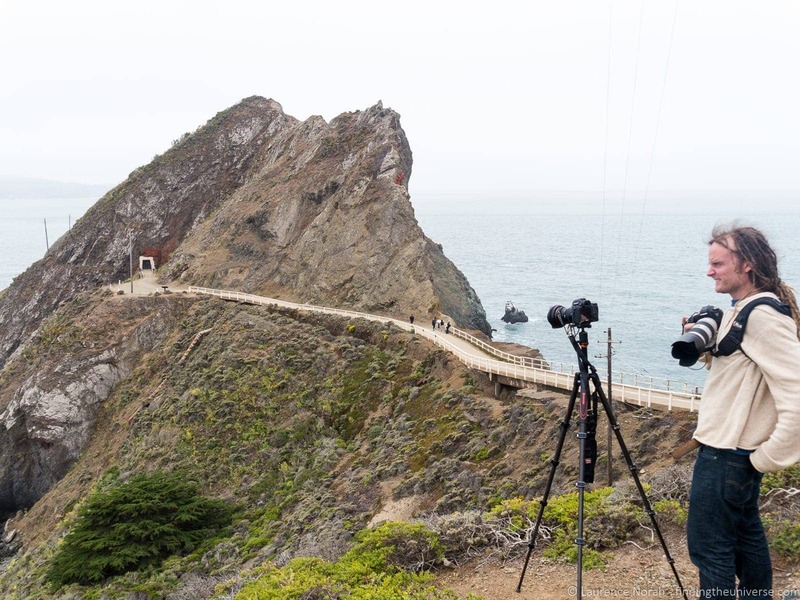 Can you tell me where you were exactly to get the shot down the length of the Golden Gate? Is there a place high enough at Vista Point to get it directly from there or do you have to go on the hills? If you look at that on Google Maps, you’ll see it’s from Vista Point itself, no need to climb a hill 🙂 You will need a zoom lens though, this was shot at 175mm to get that effect. Enjoy, and do swing by and let us know how your trip went and share some photos! We even have a facebook group for just that sort of thing, if you use facebook! Thanks so much for your fast and detailed answer Laurence! I’ll check your Facebook group! Laurence, thank you for the detailed info. I had 3 days to burn and your guide was the best to hit the major points. 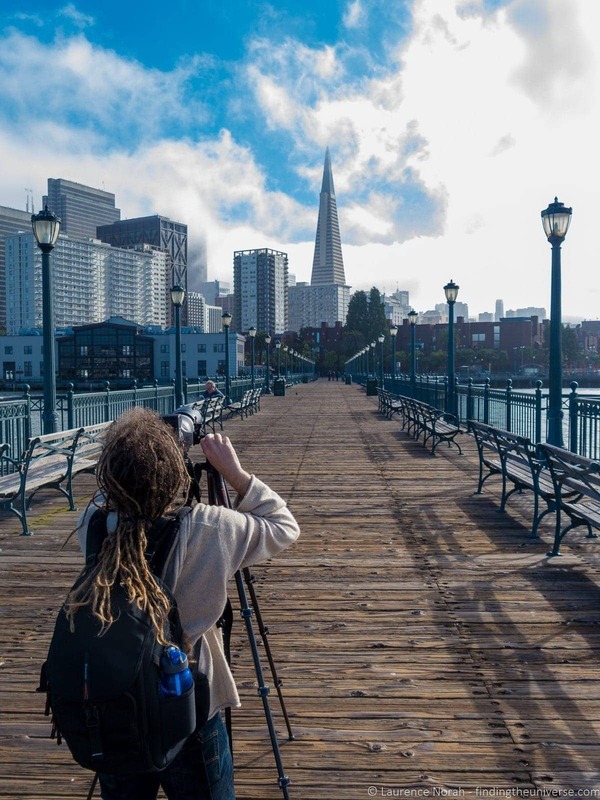 I encountered some very aggressive homeless folks at pier 7 early one morning, but was able to get my shot and move on. Thxs again. How did you manage to get a photo in the middle of Caifornia Ave? Save all locations in google maps. maybe someday. Thanks Lawrence for your photographic insights. 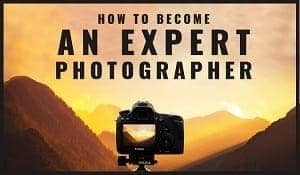 I just started getting serious about my photography and your photos and info are very helpful. Thank you very much..
My pleasure – delighted you found it useful. Enjoy San Francisco! Love the telephoto shot of the cable car ! I love the picture at Pier 39! 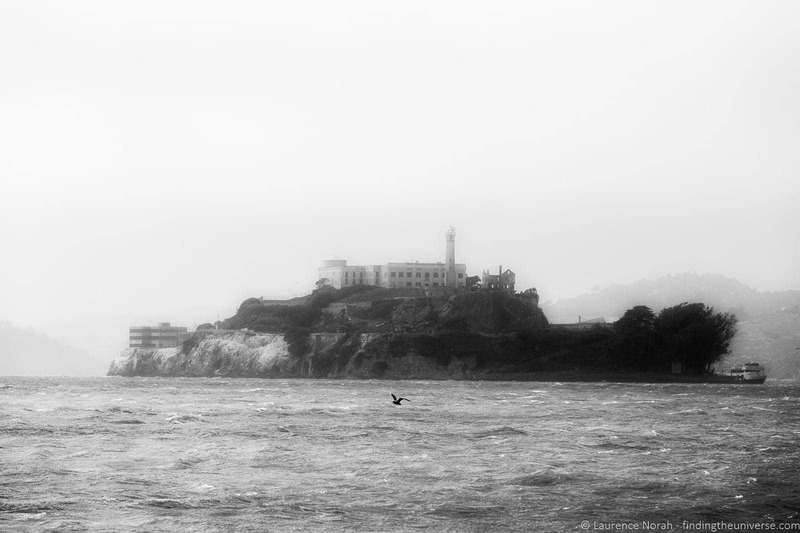 How did you get Alcatraz to look so close? Very good website and photographs. Thank You.